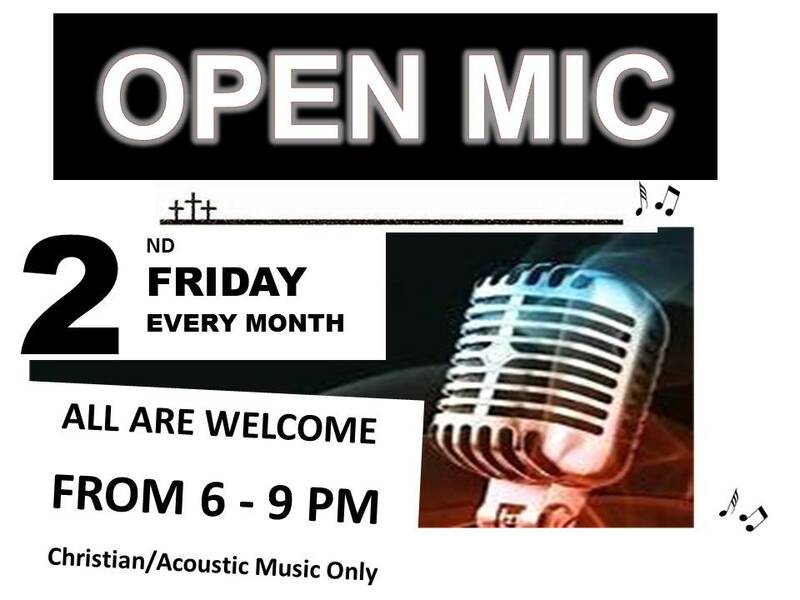 Join us for Open Mic Night on Friday April 12th! Welcome to perform or watch. No need to call - no reserved time spots. Arrive and follow signs to fellowship hall. Sound system/mics, line to plug-in instruments provided. Bring your own guitar/instrument. Will accommodate solos and duos, Christian/Gospel covers and originals only. Minors 10 years and up welcome, accompanied with responsible adult.